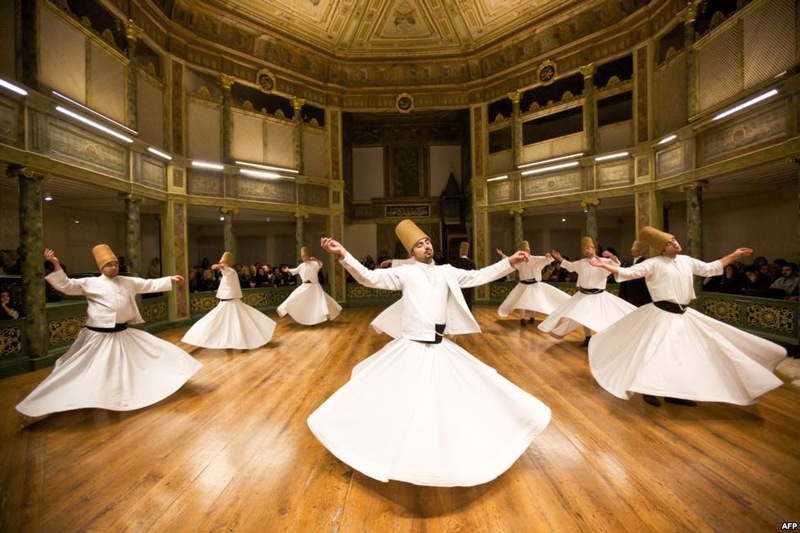 The name Mevlana Celaleddin-i Rumi stands for Love and ecstatic flight into the infinite. Rumi is one of the great spiritual masters and poetical geniuses of mankind and was the founder of the Mevlevi Sufi order, a leading mystical brotherhood of Islam. Rumi was born on 30 September 1207 in Balkh in present day Afghanistan to a family of learned theologians. Escaping the Mongol invasion and destruction, Rumi and his family traveled extensively in the Muslim lands, performed pilgrimage to Mecca and finally settled in Konya, Anatolia, then part of Seljuk Empire. When his father Bahaduddin Valad passed away, Rumi succeeded his father in 1231 as professor in religious sciences. Rumi 24 years old, was an already accomplished scholar in religious and positive sciences.The mevlevi brotherhood is founded completely on love and tolerance. He died on 17 December 1273 in Konya in present day Turkey. He was laid to rest beside his father and over his remains a splendid shrine was erected. The 13th century Mevlana Mausoleum with its mosque, dance hall, dervish living quarters, school and tombs of some leaders of the Mevlevi Order continues to this day to draw pilgrims from all parts of the Muslim and non-Muslim world. "If you fill a jug from the ocean , how much can it hold ? One day's supply." Thus. Just as the ocean can only fill the jug to its capacity , so mevlana can only fit into words and our perception in proportion to our capacity . In any case , Mevlana is beyond the highest and finest conception.